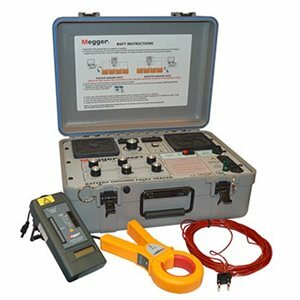 The Battery Ground Fault Tracer is dual range economical, easy-to-use instrument that identifies, traces and locates ground faults in ungrounded dc systems. It is particularly effective in high electrical noise environments, as the strength of the test signal can be adjusted. The Battery Ground Fault Tracer’s dual range provides added safety in the low range, while the high range offers the ability to locate high impedance faults. The Battery Ground Fault Tracer accelerates fault location by eliminating trial-and-error procedures and because faults can be located without going off-line. It is particularly useful in any industry where supply of power for operating measurement, communication and control equipment is critical.